Clip our plastic Halloween Cemetery Medallion to your choice of beads to create a spooky looking necklace for any Halloween or Ghost tour theme event. 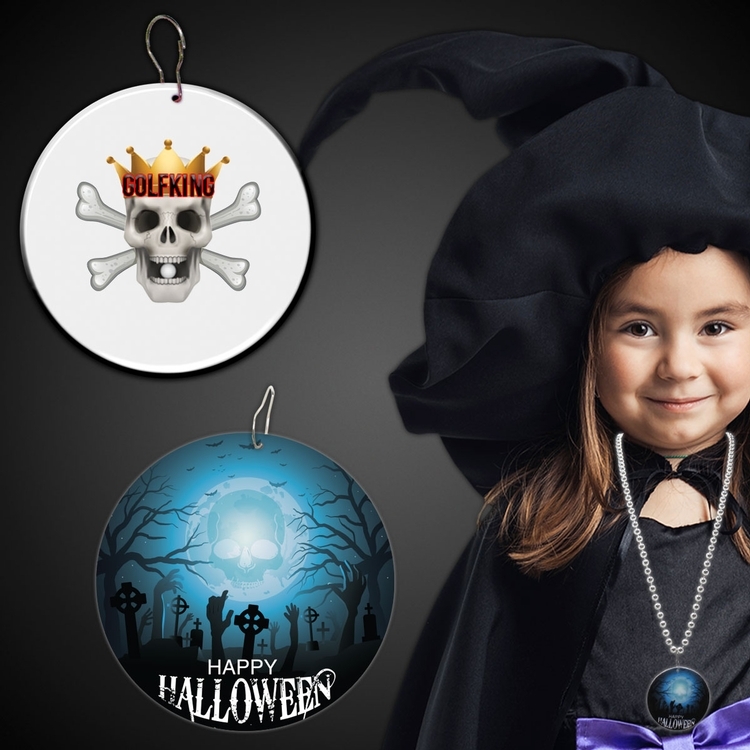 Our beautifully illustrated Halloween Medallions are 2 1/2" and feature a full color imprint of a creepy graveyard on one side only and are blank on the back for your own imprint. Each medallion comes with an attached metal j-hook. Please order our Halloween Cemetery Medallions in increments of 1 medallion. Beads are sold separately.